Oxygen therapy shouldn't have to limit you in any way. INOGEN ONE offers just that, no worrying about running out of oxygen, no need to keep an eye on the clock, no need to carry heavy equipment around. Simply use the INOGEN ONE wherever you are, wherever you go, whenever you want. It sits discreetly at your feet, behind a chair, or next to the bed and it’s light enough to carry over your shoulder. All of your oxygen needs can be met with this one small device, day or night, home or away. When using the INOGEN ONE you'll enjoy all the benefits of this compact and lightweight device, producing just a very light sound, hardly noticeable to you or those around you. And, it’s easy to operate too, just a couple of buttons. Embrace the simplicity of the INOGEN ONE and see how it can make your life easier. Restoring your freedom is definitely a large part that makes the INOGEN ONE so very special. So go ahead, jump in the car to run errands or take a weekend trip to see your family, or make that long journey you’d never thought you’d be able to make. Head home when you want to, not when a limited oxygen supply forces you to. Most airlines allow you to use the INOGEN ONE when you fly, making it easier than ever to reclaim your independence. INOGEN ONE is built to withstand long term and heavy duty use. Expect it to run for years on end and it will need full maintenance only after it has been running for 30,000 hrs. Your INOGEN ONE oxygen system can be delivered to you quick and easy, anywhere in Europe, through one of our Inogen distribution partners. 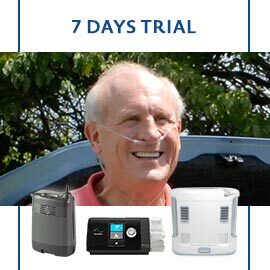 You can download an informative brochure for the portable oxygen concentrator INOGEN ONE by clicking here for the G2 model, or clicking here for the G3 model, or see Recent Articles for some articles that address topics more in-depth on a scientific level.